Most buyers go through the difficulty of searching for the right home to buy, with the market growing even more competitive, it gets harder to search for the right home that fits your needs. 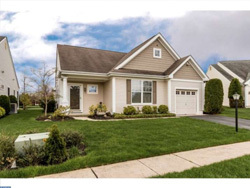 A professional Gloucester County real estate agent can help you with your new home search, taking the time to understand exactly what you need, a real estate agent in Gloucester County can easily help you find the home you always wanted. 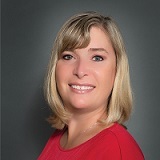 Different people have their needs and a realtor in Gloucester County will know exactly how to fulfill them. Buyers also get options for discounts when working with a professional and a guidance on what would be the best options available. There are also many things you will get to know when buying your home with a hired professional. Many people find it best to buy a bank owned property, it obviously has its advantages and a real estate agent in Gloucester County can help you get the best deals. Dealing Directly With the Bank: The biggest advantage of buying directly from a bank is that you do not have to deal with previous owners that have an emotional attachment to the house. It has been a problem for many especially when it comes to negotiations. Bank Owned Properties are vacant, you will not have to deal with troubled homeowners or wait for tenants to leave. 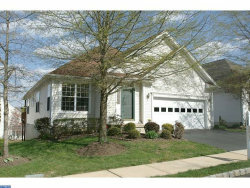 A realtor in Gloucester County will be able to help find such property which will make it even easier for you to buy. Best Prices and Discounts: From the many reasons for buying a Bank Owned Property, one of the biggest reason is the below market value price that is offered by the bank. Also, you can get a discounted price and negotiate for the best price as well. Although it may not be that simple. In some cases, property renovation has cost enough that you end up paying much more than the deal you get from the bank. Which is why it is important to have the best Gloucester County real estate agent help you with buying the home you always wanted. From the many things, inspecting on how much the cost you will need to put into the house and comparing it to the price given by the bank, a professional will be able to advise you on what steps need to be taken and how you can make sure this is the best deal for you. Inspection Options before closing the deal: It is extremely important for you to have a thorough inspection done before buying a bank owned property. There is a good chance that the former owners may not have kept the place well maintained since the bank has taken the property back. It is an advantage though since property sold at auction will not have an option for you to do an inspection before buying which could at times lead to a loss if you end up spending more than the actual value in order to have it maintained. Hiring a real estate agent in Gloucester County can bring a huge advantage to you in such situations. A professional helping with the inspection can let you know how much cost you will need to put into the house. Also, if the renovation cost adding to the price offered by the bank will still be a good deal base on the value of the house. Outstanding Taxes Will Be Waved: Another great advantage for people buying a house from the bank is that they will not need to worry about any outstanding taxes on the property. The bank offers to clear all dues for new buyers, but it is still very important to look up exactly the amount of taxes that were due and if there were none, then do make sure they have been waived. Hiring a professional realtor in Gloucester County can help make things easy. Professionals often know where to look and how to make sure you do not end up paying any dues and also look into the terms with the bank to make sure you will not have any problems in the future. Just like other property, bank owned property requires to be bought through a realtor in Gloucester County. South Jersey Realtor’s, Roxanne Ardary of Long and Foster Real Estate, Inc have helped many in finding their dream home at the right price. With years of experience as real estate agent in Gloucester County, we will make sure to keep you at ease and help you in buying the right property. A buyers satisfaction is kept at a priority, making sure you get the dream home you always wanted. A professional realtor in Gloucester County will provide you with many options like home designs and locations, communities that would be an interest to you. Hiring a professional will give you the comfort and ease of finding the right house without spending hours finding a good house in a preferred location. The best Gloucester County real estate agents have served many and make sure you get all the benefits which will help you make the right decision. Dealing directly with homeowners can cause many issues and you may overlook a few things due to lack of knowledge but with a professional that will not be the case.